Lycopene is a naturally occurring chemical that gives fruits and vegetables a red color. It is one of a number of pigments called carotenoids. Lycopene is found in watermelons, pink grapefruits, apricots, and pink guavas. It is found in particularly high amounts in tomatoes and tomato products. Lycopene is a naturally occurring chemical that gives fruits and vegetables a red color. It is one of a number of pigments called carotenoids. Lycopene is found in watermelons, pink grapefruits, apricots, and pink guavas. It is found in particularly high amounts in tomatoes and tomato products. In North America, 85% of dietary lycopene comes from tomato products such as tomato juice or paste. One cup (240 mL) of tomato juice provides about 23 mg of lycopene. Processing raw tomatoes using heat (in the making of tomato juice, tomato paste or ketchup, for example) actually changes the lycopene in the raw product into a form that is easier for the body to use. 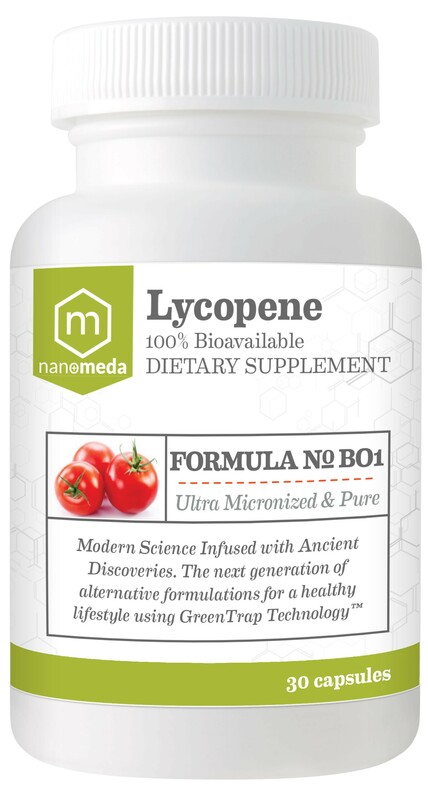 The lycopene in supplements is about as easy for the body to use as lycopene found in food. People take lycopene for preventing heart disease, "hardening of the arteries" (atherosclerosis); and cancer of the prostate, breast, lung, bladder, ovaries, colon, and pancreas. Lycopene is also used for treating human papilloma virus (HPV) infection, which is a major cause of uterine cancer. Some people also use lycopene for cataracts and asthma. Lycopene is a powerful antioxidant that may help protect cells from damage. This is why there is a lot of research interest in lycopene’s role, if any, in preventing cancer. Our product is optimal for best efficacy.